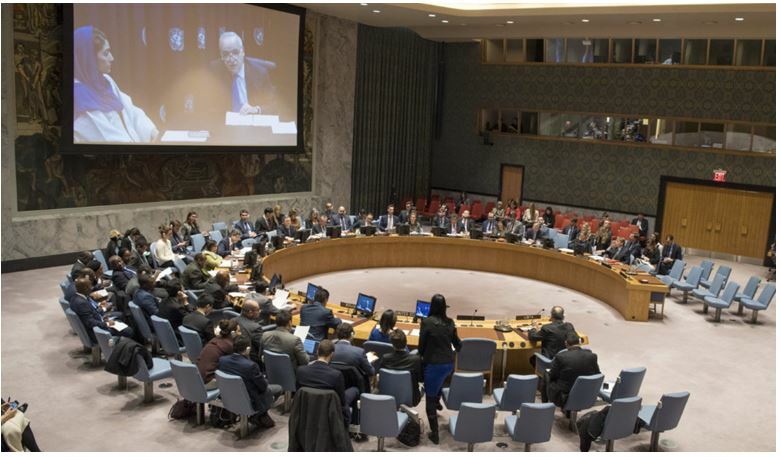 Ghassan Salame was forced to present his latest report on Libya to the UNSC yesterday from Tunis due to militia fighting leading to the closure of Mitiga airport (Photo: UN). 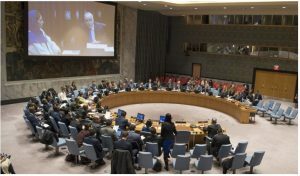 In his latest report on Libya to the United Nations Security Council yesterday, UNSRSG and head of UNSMIL Ghassan Salame reiterated his Action Plan for Libya. He announced that the UN would increase its presence in Libya in 2018. He stressed that the continued validity of the Libyan Political Agreement stressing that it was the only framework for Libya, and urged all actions by all parties to remain within this. Noting the violence at Mitiga airport this week that altered his travel plans, he warned of the continuing specter of violence. Referring to the ship ceased by Greek authorities transporting explosive-making material possibly to Libya, he stressed that Libya did not need any more weapons. On his Libya Action Plan, he stressed the need to end the transition phase through amending the LPA, agreeing on a constitution, reconciliation and elections.